Since we are super close to press week and pretty much everyone I know outside of the office is at work right now, I decided to rebel against todays writing prompt. Instead I thought I’d share my TV experiences, which include Channel 4’s hit comedy programme The Last Leg and the BBC’s first live final of The Voice. I managed to get audience tickets for my family and I to see The Last Leg on the 14th March, the Friday after my birthday, as we are all massive fans of the programme ever since it started during the London 2012 Paralympic Games. My brother met me first as he only had lessons that morning and we went to get our favourite (quick) dinner courtesy of Tortilla – a huge, deliciously fresh burrito for £5… umm yes please! 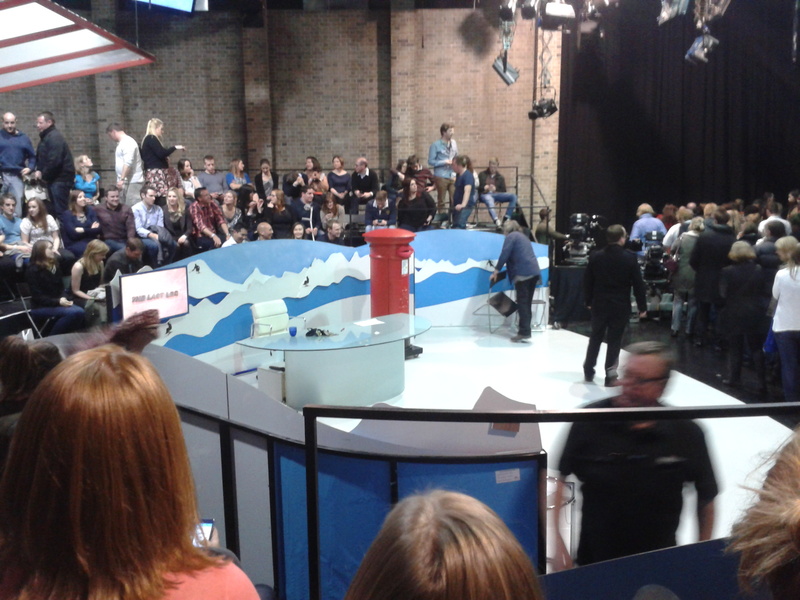 We didn’t have to queue very long for this show at all as it is only a small studio, but we didn’t expect to get seats ON the set, sat opposite the host Adam Hills (who I’ve met before) and behind his co-hosts, Alex Brooker and Josh Widdicombe! It was so exciting to be amongst the thick of it and as always, we were laughing our way through it. 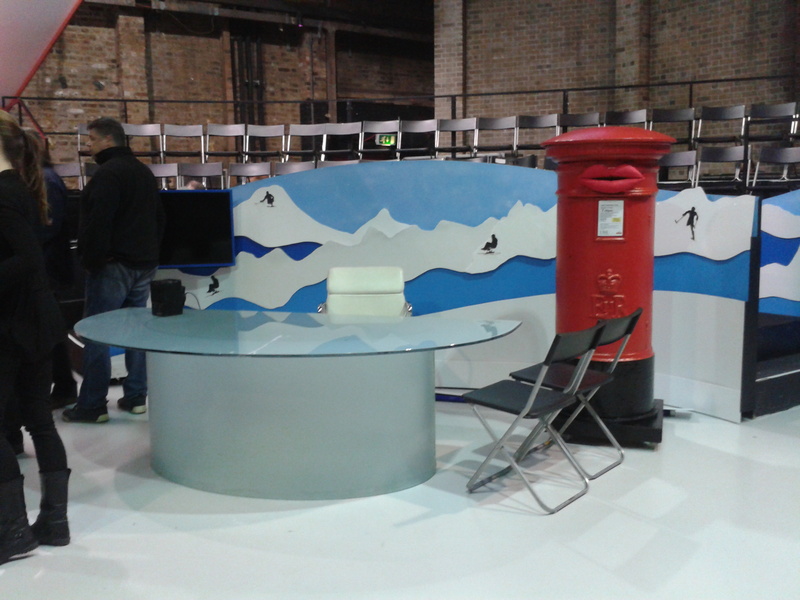 Plus it was quite nice to see that during the ad breaks, they talk to the audience and really keep us entertained. I’ll definitely try to get more tickets for the next series! 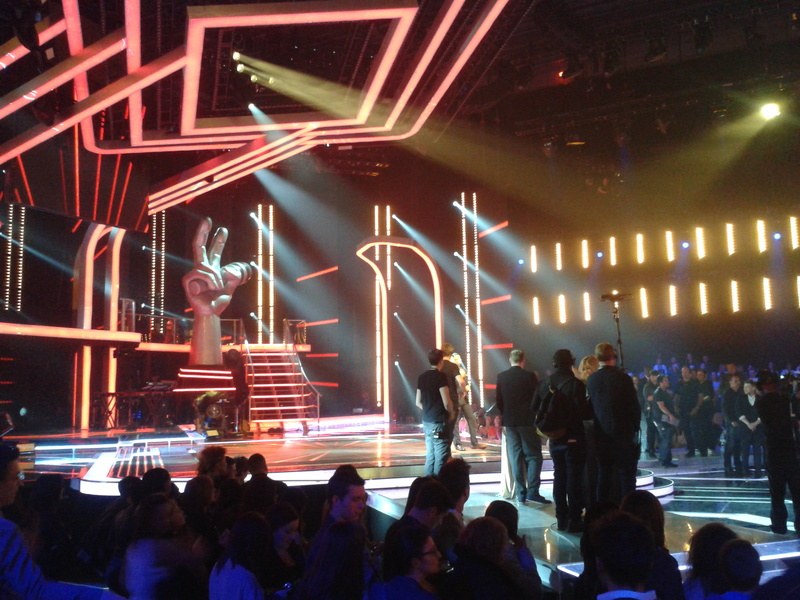 Then on the 22nd March we went to see the first live final of The Voice! This was a bit of rush in the end as I only received the email the afternoon before… but we still went for it and the show was like one long party. The downside was that you had to start from queueing from 2pm – six long hours before the show even started and it wasn’t a lovely sunny day as you’d like to have hoped! I’d rung ahead as soon I’d received the email as my dad has a bad back so wouldn’t have been able to stand for the entire show. Unfortunately, this had been forgotten and we were told that the only places left were standing… so after a brief word with a lovely member of staff, she found us some seats to the left of the stage closest to Ricky Wilson. After he’d looked over at us several times within the first part of the show, it finally dawned on us after spotting the signs under our seats, that this section was reserved for his guests… eeeek! So we thank him greatly for the fantastic seats (ooops). It was amazing to hear the later crowned winner, Jermain Jackman perform his incredible cover of Bruno Mars’ Treasure. I’d loved him from his blind audition and witnessing this performance, confirmed his star potential! 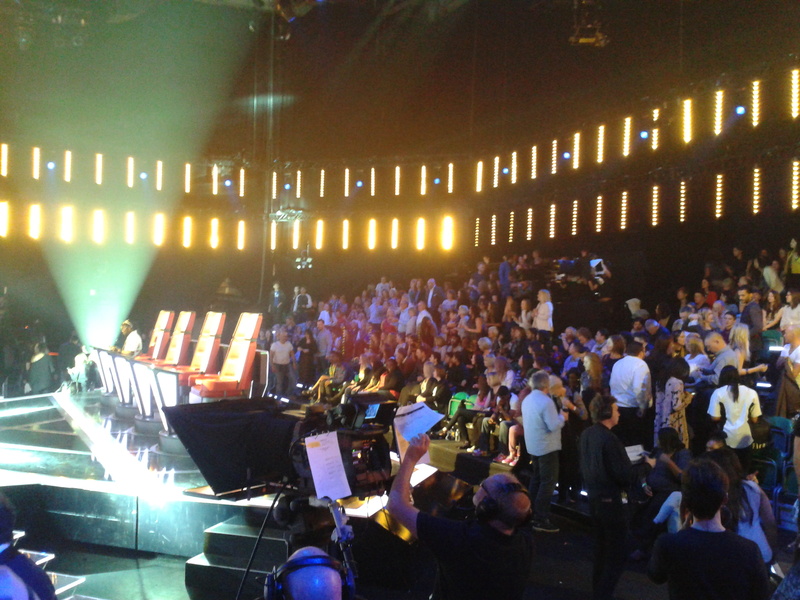 Pictures: all (sneakily) taken by myself… which explains the poor quality! Wow, both shows sound wonderful! This has prompted me to apply for some tickets to live shows. You should definitely apply for tickets to live shows – it’s a fascinating experience! Although it did make me question certain things. For example, on The Voice the two performers (OneRepublic and Jason Derulo) although they performed live, they performed before the show itself had gone live… technically it was recorded when broadcast! Sneaky, sneaky!